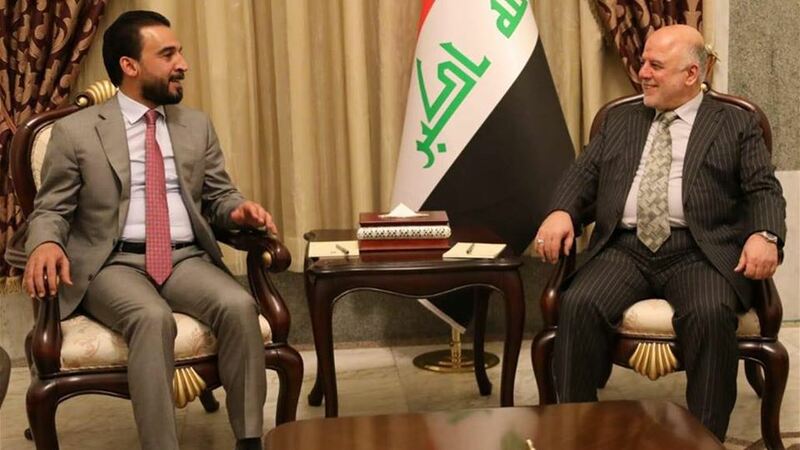 Prime Minister Haider al-Abadi on Monday called on parliament speaker Mohamed Halabousi to speed up the implementation of priority laws that support the trend towards Iraq's reconstruction . The office of Abbadi said in a statement received by Alsumaria News, a copy of it, "the Prime Minister Haider Abadi received today Speaker of the House of Representatives Mohammed Halbusi," noting that "Abadi at the beginning of the meeting congratulations to Halbusi on the occasion of his election as Speaker of the House of Representatives." Abadi said during the statement that he hoped that "the next phase will witness more cooperation between the executive and legislative authorities to serve the interests of the Iraqi people," calling on Halabusi to "work to accelerate the implementation of laws of priority that support the trend towards the reconstruction of Iraq and stability and prosperity and achieve the aspirations of his people and meet his legitimate demands" . For his part, Al Halbusi stressed "the importance of preserving the national gains achieved for the Iraqi people and unity and the preservation of sovereignty and national wealth," noting that "the Parliament of its new session to promote national unity and coexistence among Iraqis and cooperation with the executive authority and work to maintain relations with Iraq and its Arab and regional And the international community to preserve the security and stability of the region and the interests of its people. " During the meeting, they stressed the importance of adherence to the constitution and the constitutional timing, the need to accelerate the formation of the Iraqi government, the joint efforts to develop services and the reconstruction of all governorates and meet the demands of its citizens, and stressed the preservation of the unity of Iraq and its people. The House of Representatives was elected in its meeting held last Saturday, Mohamed Halabousi as Speaker of the Parliament and Hassan Karim first deputy and Bashir Haddad second deputy chairman of the Council.